Our DNA is the blueprint of our body - it encodes the build-up of our body, our differences in health & diseases, talents, weaknesses, as well as reactions to food and drugs. Genetic test is the technology of reading DNA from our body specimens, usually from saliva or blood samples. Genetic science has been developed by thousands of brilliant scientists throughout the world in the past 20 years. Technology is now well developed – we are confident in accurately reading our own DNA in a fast and efficient manner. From guessing to testing, we can now make use our own DNA information to improve our health in multiple aspects. By knowing in advance our own health risks, personalized medical prevention of disease can be achieved; by knowing our own genetically predisposed lifestyle, personalized sports, dietary and other daily living options can be optimized. We are the first generation in human history who can make use our own DNA information to improve our health. By knowing in advance our own health risks, the personalized medical prevention of disease can be achieved. Successful prevention and timely detection of severe diseases like cancer can be a reachable goal nowadays. The PERSONAL GENETIC SERVICES of LeGENE covers the whole journey of genetic testing – from choosing the right test for the right person, accurate DNA analysis in accredited test centers, medical interpretation, disease-prevention programs, to genetic counselling and long term support. Our mission is from genes, to health, to a healthy life reborn. Genetic test - How does it work? There are related recommendations in the report… Information such as what you should do and what you should eat can’t be obtained anywhere else. I felt relieved as well as had a better understanding… I didn’t feel disturbed because with such knowledge, I knew how to take preventive measure or to seek treatment. I felt at ease because I knew what was all right and what I should pay special attention to. Actually it was a mixture of feelings. There’s a sense of relief as it had nothing to do with the heart or other parts. I was worried as the gene was pointing at something that I didn’t realize. Actually the stomach cancer cell index was higher. Before testing, I have known nothing about this. It has a lot of useful information. This kind of test will be taken once in your lifetime. With this information, I can start to avoid falling sick or being injured in my daily life. 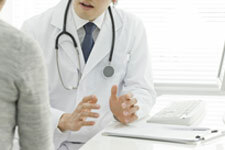 Q: Why do I need a Personal Genetic Test in managing my health? A:It is now known that almost every disease is influenced, caused, regulated, or modulated by our genes, as is our body’s responses to environmental factors such as diet, drugs, carcinogens, and others. LeGENE Personal Genetic Tests provide strikingly precise answers for many conditions that is otherwise almost impossible for you to know in advance. Q:Who will benefit from a genetic test? A: As has been proven true throughout the years of practice in western countries, many of us can benefit from knowing our own DNA. With human genetic knowledge, we hope to plan our lives and act not by chances but choices, before any potential mishap like cancer, hereditary diseases, or prenatal conditions impacts on our lives. Other DNA technologies like parentage testing or body trait also lead us to the truth that is almost impossible to find anywhere else. Q: How is my DNA tested? 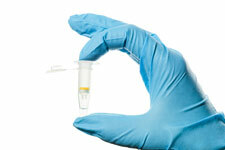 A: For most LeGENE Personal Genetic Tests, only your saliva or blood is required, and is very safe. We recommend the youngest age of saliva sampling to be 3 months old. After collection, your specimen will be shipped to one of the LeGENE exclusively contracted international genetic centres with accreditations for testing. Q: Is testing of my DNA accurate? A: DNA testing is a very complex science & technology. The accuracy of DNA tests is guaranteed when choosing the properly accredited genetic centres like US FDA, CLIA, Germany National DAkkS, or Australian National certified, genetic laboratories. Q:What can be done if I found out I have genetic risks of a disease, or even risk of a cancer? A:LeGENE provides a Genetic Professionals-led comprehensive health maintenance and medical disease prevention programs – through our network of Medical Specialists, tailor-made body check portfolio, diet and lifestyle recommendations, together we endeavor to steer towards a better health outcome based on your unique DNA. Q:Why do genetic tests cost more than usual laboratory tests? A:For ensuring a high standard of accuracy, the genetic laboratory environment is strictly under special control. 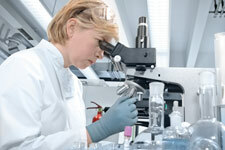 The procedures are governed by genetic experts, and all equipment & reagents are specially developed. The use of the most updated human genetics databases are also essential elements for a valid gene test interpretation.